In an April 15 Los Angeles Times editorial entitled “An Asian American Turn to the Right?” Lanhee J. Chen, the former policy director of Mitt Romney’s failed 2012 presidential campaign and Hoover Institution Research Fellow, claims that Asian Americans played a critical role in defeating SCA5, a proposal to allow race to be considered among many other factors in college admissions in California. SCA5 was proposed in order to remedy the precipitous drop in minority college admissions following the passage of Proposition 209, a 1996 ballot measure that banned affirmative action in California. 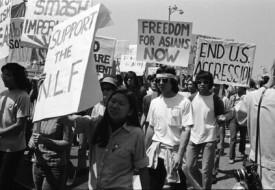 The defeat of SCA5 is widely credited to the organizing efforts of the 80/20 National Asian American Political Action Committee that mobilized a conservative minority among California’s Asian Americans to blitz key elected leaders with phone calls and mail in opposition. Democrats have made it clear that they want to reinstate racial preferences in admissions, while Asian Americans do not, as illustrated in their efforts to defeat SCA5. Given the percentage of freshmen admitted to all University of California campuses who were Asian American increased between 1996 and 2013, Democrats do not appear to be accounting for the Asian American community’s interests. But what Chen is suggesting is more along the lines of wishful thinking than reality-based political forecasting. Moreover, it reflects a bluntly simplistic racial worldview popular among conservatives that may help to explain why massive majorities of African Americans and Latinos joined the 73 percent of Asian American voters in supporting Barack Obama over Chen’s candidate, Romney, in 2012. In that worldview, Asians are a monolith, and the actions of any of us is indicative of the characters of all of us. Asian America is composed of 43 ethnic groups speaking over one-hundred language dialects. Moreover, Asian Americans trace our roots to a geographically, religiously, politically, and culturally diverse region of the world. That diversity is reflected in the fact that most of us choose to identify by ethnicity rather than as “Asian.” And there’s a reason for this. Diverse Asian ethnic groups in the U.S. experience America very differently. For instance, one’s experience of America is quite different if you’re a Cambodian American, born in a refugee camp in the 1980s, your parents’ migration from their homeland a legacy of war, as opposed to a Japanese American whose great grandparents first migrated in 1900 to Hawaii (where Asians would soon become a majority) for agricultural work. One story begins in a refugee camp and the other in a plantation camp, separated by hundreds of miles and three generations. It isn’t just language and culture that make us distinct, it is also our citizenship status and the stories of why we came to the U.S. and how we entered. Is our understanding of an event as significant in U.S. history as the Vietnam War written in napalm, or translated for us by Life Magazine? Even if we share a language, our words may have very different meanings. The group that opposed SCA5 is not reflective of this diversity. In fact, they were mainly Chinese, and very likely only a small minority of Chinese when it comes to their political leanings. 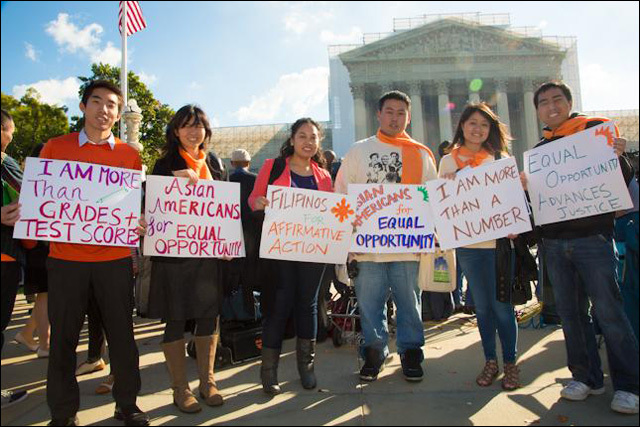 The historical role of affirmative action in advancing Asian Americans interests may help explain why 60 percent of Asian Americans in California voted against Proposition 209 in 1996. It might also help to explain why the National Asian American Survey found that 72 percent of Asian Americans surveyed nationally and 80 percent of Asian Americans in California supported affirmative action in 2012. And in so far as Mr. Chen’s partisan aspirations are concerned, a 2009 Gallup Poll found that 61 percent of Asian American voters lean Democratic, exceeding the national average, and 31 percent of Asian Americans identified as liberals (compared with 21 percent of the general public). But Mr. Chen doesn’t just ignore data contrary to his opinion. He also ignores some hard Asian American realities. Chief among them, that the high aggregate level of education among Asian Americans isn’t evenly distributed. Prop 209 has maintained or worsened access to higher education. In California, only 15.5 percent of Cambodians, 14.5 percent of Hmong, and 9.6 percent of Laotians have a college degree or higher, compared with 48 percent of Asian American communities in aggregate and 31.3 percent of White communities. To lump in the political interests vis a vis affirmative action of these less advantaged Asian Americans with conservative groups like 80/20 only worsens their educational disadvantages, while also promoting the dehumanizing and intellectually dishonest notion that all Asians are alike. We aren’t, and a growing majority among us would like conservatives to get over their wishful thinking and come to grips with this fact. You seem to have a blind worship of the democratic party. I used to as well, until I slowly realized they will take our votes, but throw us under the bus whenever it suites them – witness SCA5. The Lau case is a red herring. How exactly do Hispanics and Blacks not have access to the same tools by the public sector to compete for college admission? The whole affirmitive action based on Race is such a grotesque mechanism, I wonder how it exists at all. It has so many problems, like how you mention not all asam’s are the same. An how about the minorities that benefit from AA are mostly well to do? No, a better way would be to change affirmative action to look at other, better factors, such as economic status. Thanks for the comment, Colin. I actually don’t think the Democratic Party is the answer. I certainly don’t worship it, though I am, often reluctantly, a Democratic voter as I do believe that choosing the lesser of two evils results in less evil, even if those “evils” rise out of the same political base. The Lau case actually had to do with Chinese American students with limited English proficiency who were not receiving language accommodations in San Francisco and sued the school board under Title VI of the Civil Rights Act of 1964 which prohibits discrimination in education based on national origins. The case expanded the rights of students with low English language proficiency nationwide, including students of non-Asian origins. I’m not sure how it is a red herring nor that it has to do with not having access to “the same tools” necessary to compete for college admission for Hispanics and Blacks unless we’re speaking of those who don’t speak English as a first language. Nor am I arguing that affirmative action, at least in the form that has been found to be allowable under the 14th amendment, has to do with people not being competitive. Currently, the federal legal standard allows race to be considered among other factors in college admissions in places like Texas. At the point of admissions, one’s access to tools or lack thereof is not the consideration. The consideration is diversity. In the process of considering various characteristics that make students desirable as members of the student body, basic qualifications must first be met. No one is unqualified. And then, along with many other factors, factors like whether or not you played a sport in high school, joined clubs, became a cheerleader, or went abroad on a foreign exchange program might also be considered. I’m not sure why this is even controversial except for the backlash politicking of conservatives who are exploiting white (and increasingly Asian) anxiety about affirmative action in order to win key legal battles that support their overall agenda. In this struggle, I think the whole notion of unqualified students being admitted is the real red herring. This simply isn’t the case. And, in terms of why affirmative action exists at all, well, I would suggest taking a look at history. Affirmative action is supposed to be a remedy for the history of federal and state government investment, including under the leadership of the Democratic Party, creating legal and institutional barriers to the participation of people of color in society, and the unjust pattern of public investment in the racially exclusive government subsidy programs that built the white American middle class and expanded and concretized the racial wealth gap. But should we change affirmative action to address class? Absolutely. But the experience of California post-Prop 209 as documented by the University of California makes it clear that unless race is explicitly addressed, class-based affirmative action doesn’t work for the neediest students of color. The supposed “precipitous drop” was just at the top berkeley school, Overall, admissions have been flat. There is recent news that hispanics are now the majority entering the overall UC system. If we are talking about the top school, should not the most academically capable students be admitted. The all-are-qualified argument doesn’t apply. For academically rigorous schools, as with any organization, they should bring the cream of the crop for that domain. College grades will proof who are the most qualified, or do you also say there is unfair grading or the grading system itself should be overhauled? Btw, I wouldn’t be surprised to find of the white population in higher ed, a disproportional of them are actually Jewish. And what about reports of those minorities who do take advantage of aff. action that actually don’t fit the target group? Wealthy hispanics, new African immigrants, etc. How do you square these and other issues? I have no problems with diversity, it is perhaps a marginal good. I think diversity is an abused term by the left. Diversity is this supposedly silver bullet to cure all. I don’t buy it. And why diversity just on one’s skin color? The new divide in america is class and wealth. I still think the the Lau case is a red herring, a case from another era. Many of the aff. am advocates point to the historical past in a similar way, including Sotomayer. Society has changed. At least in education, blacks are hispanics are not denied any public resource available to anyone else. 1st gen hispanics do have language support, as any group. But let’s not forget, many asians are also 1st gen off the boaters who didn’t have a word of english, yet often succeed. Where do you draw the line that there is or is not enough demographic engineering in society? Quota’s and handicaps for Asians and Native Americans in professional sports? And finally, and for me most importantly, no one mentions the injustice on the individual level. Why should one applicant get unfair treatment solely because of his skin? I don’t care if it were a black vs asian student, hispanic vs white, white vs asian, brown vs less brown, both INDIVIDUALS should have equal treatment. If anything, I think the SCA5 incident just reveals more of what I have learned along the way, that we’re suckers if we continue to trust the democrat/liberals to have our interests in their mind, and buy their rhetoric. The SCA5 incident and the punitive aftermath by the hispanic and black caucus is just more sad proof. I am an Asian American from California and I am against SCA 5. I value diversity and support socioeconomic affirmative action completely. Although the percentage of Black and Hispanic students at UCB and UCLA has not been adequate since Prop-209, it should be noted that UCB and UCLA have a much higher percentage (almost 40%) of low income students than other top universities. If socioeconomic diversity is important, CA is winning this in a landslide. If CA institutes racial affirmative action and increases the Black and Hispanic populations while the low income population decreases to what is more common at other top schools (under 20%), is this really a desirable outcome? I am not able to see this as anything but a normal income minority student taking the spot of a low-income student. SCA 5 specifically is much too vague for me to support. I could support racial affirmative action, but not without knowing specifically how it will be applied. Proponents of SCA 5 have typically characterized the Asian opposition as unrepresentative or insignificant. Another common narrative is that these easily manipulated Asians are simply being used by the GOP or Whites. The politicians who have supported SCA 5 talk about how universities should reflect the state demographics while also claiming that the law against quotas makes it impossible to know if racial preferences would hurt Asians. This completely ignores the actual reasons some Asians may oppose affirmative action. Even if the group is small or unrepresentive, are we as minorities really going to argue that the lack of numbers means the validity your concerns should not be considered? Asians do not need to be manipulated by the White man in order to oppose affirmative action. After Prop-209, the White population did not increase. Asians are the only overrepresented racial group at UCB and UCLA, so this will necessarily decrease with affirmative action. Asians are also accepted at a lower rate (nationally and in CA) than Whites, Blacks, and Hispanics with the same SATs and GPAs. In order to make the racial breakdown in reflect state demographics, the Asian population must decrease substantially. Personally, I could be persuaded to support an initiative that would cause the Asian population to decrease. However, this conversation cannot even begin until proponents of SCA 5 acknowledge that racial affirmative action will necessarily decrease the population of Asian students. Saying that racial affirmative action would not really hurt Asians simply because we are over-represented is like saying that claiming that making all sports teams reflect the general population would not be detrimental to blacks because they are over-represented. For all of Sotomayor’s talk about confronting the “stark reality of race,” I noticed that she did not mention Asians in her recent dissent, the only racial group who would see their admittance to schools decrease in CA. If Asians cannot even be considered seriously in a discussion about race and education, I am definitely not ready to support a decrease in representation for Asians in schools. I cannot support a racial affirmative action initiative that will necessarily decrease the number of Asian students without knowing specifically how it will be administered. This is especially true when proponents will not even admit that the initiative will hurt some Asian and low-income applicants. A good way to begin the conversation with this “small minority of Chinese” would be to acknowledge that UCB’s population cannot reflect state demographics AND be 40% Asian…. then convince us why we should be okay with that even though a Chinese applicant, on average, needs higher metrics than a White applicant (although maybe Chinese really do just universally have terrible soft factors). Check that ego. It sounds like you are about to give yourself too much credit. Everybody is being manipulated. 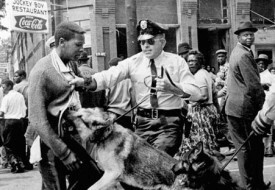 Whatever position you take is a reaction to what white people are doing, as they are the ones who caused the current conditions. With or without affirmative action, white people are the ones that decide who is going to what school and whose representation will increase or decrease. No system is perfect, and yet using race as a factor for affirmative action DOES NOT HELP in the goal of encouraging economic movement among the lower classes. In my state, many private universities selectively allow for students designating “Black or African American” as their race to have significant privilege in admissions decisions. What ends up happening? Middle to upper-class African Americans and African Immigrants, many of which are the children of professionals that hold high-paying white-collar jobs, flood into these institutions. What about the poor minority kid who was raised in a violent inner-city neighborhood and could only use battered textbooks leftover from other schools as a study aide? Well why should he matter when the school reached its goal of achieving a large 55% Black population? This is what is wrong with affirmative action. It was institutionalized to remedy the “inequalities due to past discrimination/racism” but it doesn’t quite do what it needs to – the main “inequality” that affirmative action seeks to level is obviously poverty, with that the fact that African Americans and Hispanics tend to have a lower median income (and this is assumed to be the post-impact of discrimination, etc). That is why affirmative action needs to be based on socioeconomic status, not on race at all. Obviously, combining this with race would be totally unfair – why should an African American kid in the inner city hold more advantage in admissions than a Chinese kid growing up in the same conditions, in the same neighborhood, living on a similar income? Should people be punished because of their race? Apparently the race-blind socioeconomic based implementation of affirmative action “failed” in California – but what exactly are we designating failure? Or are we looking at race again to designate that, when we have already said that we weren’t going to look at that anymore? Thanks for your comment. Here’s the rub. I think that Affirmative Action is an inadequate solution as well. But, what the Regents of the University of California have learned since Prop 209, is that nothing is worse. So, I argue against throwing the baby out with the bathwater. We need programs that acknowledge that public colleges and universities are just that, public. That means that everyone has a stake in them, and everyone should benefit. The current argument suggests that some people will only benefit indirectly, so in the best case scenario you end up with something like a trickle-down theory of educational benefit – that the most elite will be educated on the public dime, and that their contributions will indirectly benefit those who are denied access, even if they pay taxes to help support those same institutions. The Civil Rights Movement attempted to address a similar problem – that the huge government subsidies distributed via the New Deal and the GI Bill were racially exclusive, both explicitly (because Blacks were specifically excluded in certain parts of the country) and incidentally, because of a combination of factors including racially exclusive housing covenants, red-lining, social exclusion from private clubs and facilities, structural segregation, historically and contemporary exclusion from unions, legal loopholes that excluded workers in certain, at the time predominantly black sectors of labor from worker safety and wage and hour protections, exclusion from welfare and other means-based government assistance programs in some parts of the country, the combination of inequitable policing and vigilante white racial terrorism, and ordinary discrimination in employment, to name a few. So, public works of great significance such as parks, schools, government guaranteed loans and mortgages, government assistance in education, etc., specifically excluded certain groups of people. Everyone paid in to the government treasury, but the best goods and services were only for the most elite. This problem has endured and resisted attempts at programmatically addressing them – busing, affirmative action, etc. One of the problems with affirmative action is that the quotas that were once at the heart of the program have been illegal since the Bakke decision. Without quotas, diversity affirmative action, which is what we have, is inadequate to the task of overcoming educational inequity.